Popular Midtown eatery Cowtippers Steaks & Spirits will close at the end of business on Sunday, January 28. The restaurant, located on Piedmont Avenue near its intersection with Monroe Drive, has been in business since 1993. Cowtippers, like a number of other in-town eateries, is owned by Metrotainment Cafes. While a representative for the restaurant confirmed the closure, they did not shed any light on the reasoning or timing of it. 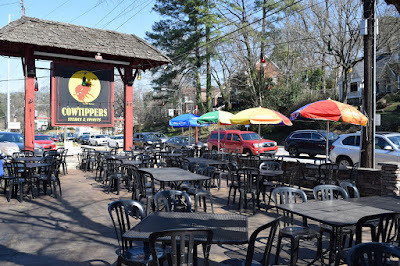 The space that Cowtippers has occupied for nearly 25 years was home to an outpost of the Old Hickory House previously. Fulton county property records indicate that through an LLC, Jeff Landau, founder and CEO of Metrotainment Cafes, currently owns the restaurant's property. The building, which is roughly 4,800 square feet, dates back to 1940 and sits on about a third of an acre, according to Fulton county records. The records indicate that "TEN TWENTY THREE JUNIPER ST ASSOC LLC," headquartered at 1119 Logan Circle, where Metrotainment Cafes is headquartered as well, paid $1.2 million for the property in 2002. Local sources indicate that the property was sold for the construction of a high-rise apartment building. While this has not been verified, it would not be shocking considering the multi-family construction boom across key intown markets. That said, the Cowtippers property reportedly lies within the Atlanta BeltLine planning area, and any planned redevelopment must therefore be presented to the BeltLine Design Review Committee. It's unlikely a sale would have closed on the restaurant site if the proper approvals for a redevelopment had not been received. As of today, no public submission for redevelopment has been made for the site. The Committee will meet for the first time in 2018 on January 17, with submissions due by January 10. As ToNeTo was first to report in 2015, longstanding Italian restaurant Alfredo's was forced to close in early 2016 after its lease was not renewed. Westplan Investors purchased the Alfredo's property and others near it for the construction of Accent Morningisde, a 239 unit low-rise apartment complex currently under construction. The property adjacent to Cowtippers, home to Smith's Olde Bar, among other businesses, was purchased by Selig Enterprises in late 2015 for about $3 million. ToNeTo Atlanta was first to report on the availability of the property when at the time, Smith's future was in doubt, and there was talk of apartments coming. Thus far, little has changed at the property and Selig is reportedly taking a "wait and see approach" to the property and possible redevelopment. Redevelopment is not only affecting in-town restaurants. As ToNeTo Atlanta reported last week, Greenwood's and Swallow at the Hollow in Roswell both closed at the end of the year. The restaurants, which opened in 1986 and 1999 respectively, were reportedly sold for a planned redevelopment. Cowtippers, like its sibling concepts Joe's on Juniper and Einstein's, also on Juniper Street, are especially popular with Midtown's gay population and many patrons were saddened and caught off guard by news of the upcoming closure. Metrotainment's other concepts include Guaco Joe's in Vinings, Sugar Shack and FC United in Brookhaven, Metrotaiment Bakery Epic Events Catering and seven Hudson Grille locations across metro Atlanta. An eighth location, planned for Toco Hills, that ToNeTo Atlanta first reported on last January, is still to open, but was reportedly put on the back burner following the relocation of the Hudson Grille in Alpharetta last year. Are you surprised by the planned closure of Cowtippers? Have you, too, heard that apartments will replace it? What is your favorite old-school Atlanta area restaurant? 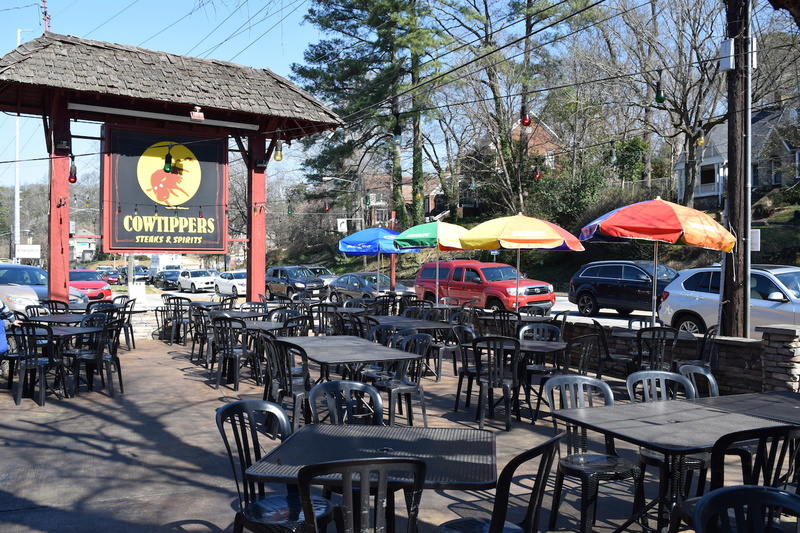 Update 1/10: Tori Allen of Tori Allen Public Relations provided ToNeTo Atlanta the following statement regarding the planned closure of Cowtippers. Update #2 1/29: According to Tori Allen of Tori Allen Public Relations, Cowtippers made the announcement yesterday at the Heifer Review drag show that the restaurant did not have its final service yesterday. "Based on the outpouring of support from the community, we have decided to remain open at least another two weeks, during which time we will assess what will happen regarding the restaurant." "Due to overwhelming response from the community, we have decided to extend our closing celebration thru February 18th! This will give everyone another chance to say goodbye to Cowtippers, as well as give us a little more time to place staff in our other restaurants." Sad to see it go. Love to get together with friends out on the patio. I'm so pissed. Is there anything we can do to stop this tide of cookie cutter apartment nonsense to save the very places that bring charm and tourism to the city? It feels like the people already here have been brushed aside for future residents that clog up our streets with dare I say again soulless cookie cutter condos and add to our horrendous traffic. As the internet meme says: Atlanta, WE FULL. This is the most depressing news I've heard in quite some time. So many happy memories made there. There's a sign in the parking lot announcing the property as for sale. I believe it's Palmer House Properties. Its sad to see another local restaurant go. I suggest to all the posters who are pissed, depressed, frustrated, anti-greed and don't want more apartments - they should pool their energy and money - buy the property and continue operating the restaurant just like they would like it to be. The building that Smith's is in has been the target of "developers" for a while, right Eli? Although, it's sad to see this local establishment go, the truth is Cowtippers hasn't been doing well for several years. It's not the money maker it once was. The only time it's really busy is Pride weekend or a holiday weekend. Hopefully, Metrotainment will do right by the employees and not just toss them out on the street. And just how many cars will the proposed apartments contribute to an already jammed intersection? Any traffic plan? Not exactly sad here. The patio was great for socializing, but the menu was never great. That's pretty much true of any Metrotainment establishment.